David John Taylor dedica agli scrittori sperimentali inglesi degli anni Sessanta uno speciale programma per BBC Radio 4, The Advance Guard of the Avant-garde, realizzato con tecniche radiofoniche poco ortodosse e affini alla poesia sonora spesso promossa da quegli autori. Cita Ann Quin, Bob Cobbing, Alan Burns, Christine Brooke-Rose e soprattutto Bryan Stanley Johnson, con il contributo tra gli altri di Jonathan Coe, biografo di Johnson (Like A Fiery Elephant) e curatore di alcune edizioni di sue opere (Well Done God): "He was certainly one of the best British prose stylists of the 1960s and on that subject I can do no better than quote the poet and novelist Adrian Mitchell's words from 1964: "Mr Johnson is a fine poet and he writes the prose of a fine poet. Every word is weighed for its rhythmic effect as well as for its sense and sound." It's good to remember, incidentally, that Johnson began his working life as a poet, one whose preferred mode was the confessional, and who would only allow himself one subject: "nothing else but what happens to me". 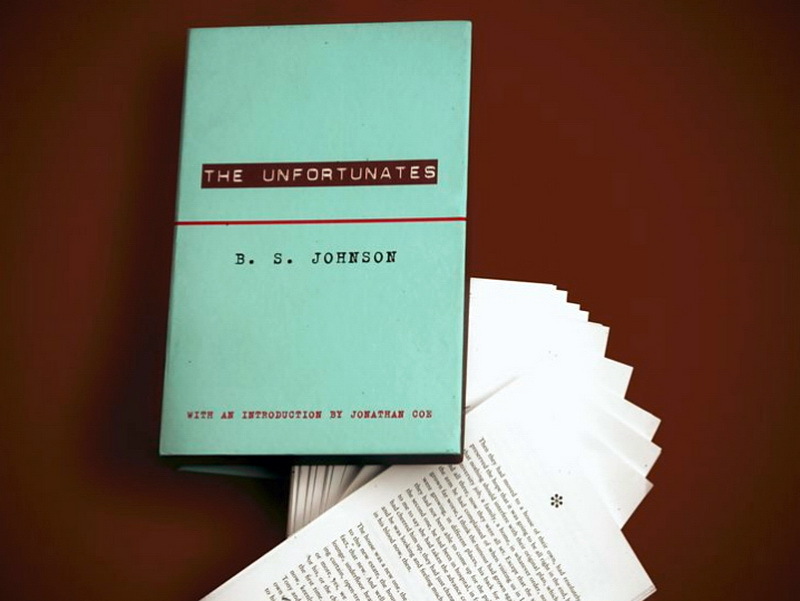 It may have been a common enough view in poetic circles at the time, but Johnson was perhaps the only person to carry this aesthetic over into the novel." In the 1960s a group of writers set about shaking up the polite conventions of the British realist tradition through a whole range of experimental approaches. 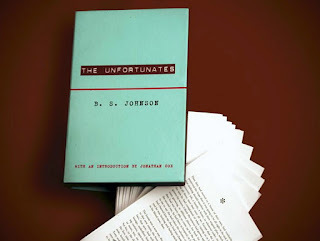 Sound poets created some of the strangest programmes ever broadcast by the BBC, while the likes of BS Johnson cut holes in the pages of his novels - and in the case of his book The Unfortunates published the unbound chapters in a box for the reader to mix up and read in whatever order they wished. Johnson and similarly minded writers like Ann Quin, Bob Cobbing, Alan Burns and Christine Brooke-Rose were prominent in their day, appearing regularly on TV and radio programmes, but by now they've largely been forgotten.